Mark and Molly at GenreOnline.net. 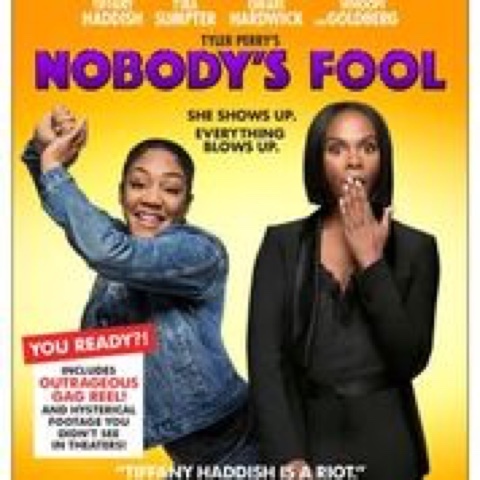 TIFFANY HADDISH STARS IN THE OUTRAGEOUS COMEDY TYLER PERRY’S NOBODY’S FOOL Arrives on Digital January 29, 2019 Blu-ray™ Combo Pack Debuts February 12 with Over an Hour of Hysterical Bonus Content Including a Gag Reel, Deleted Scenes and More! o Introduction by Tyler Perry & Tiffany Haddish – A special message from the writer/director and the star of Tyler Perry’sNobody’s Fool. § Bring the Funny– Catch up on the hilarious scene where Tiffany Haddish’s character is fresh out of jail. § "Something New From Tyler Perry" Perfume- Watch this side-splittingly funny faux commercial for Tyler Perry’s Nobody's Fool. Upon first glance one might mistake Star Wars: Scum & Villainy: Case Files On The Galaxy's Most Notorious for being a book by another publisher that specializes in photo guides of various franchises for children, but this is much more. Pick it up and you will notice right away that the book is housed in a kind of semi transparent sleeve. Pull the hardcover book out and flip through the lavishly illustrated 128 page book and one will see that this gem of the is much, much more. Containing accounts of the actions of the Star Wars Galaxy's most notorious smugglers, pirates, gamblers, bounty hunters and thieves, this is an in universe accounting by three generations of law enforcers and the book is written by none other than Lucasfilm Story Group Brand Communications Manager for all Star Wars related media, Pablo Hidalgo. As such the book goes into great detail regarding the subjects from the last days of the Republic, the Galactic Empire and the New Republic with references to characters seen in the three trilogies, the two spin-off features, animated series, animated Clone Wars feature film and much more. Perhaps things we will see in the future as well as details behind certain characters like the horrific experiments performed by Doctor Evazan, which earned him a death sentence in more than twelve systems or artifacts reported as being stolen that we see aboard Dryden Vos' ship in Solo: A Star Wars Story. There are 120 new illustrations that accompany the accounts found in this book and they are gorgeous. This is a must own for every Star Wars fan or scholar's library. 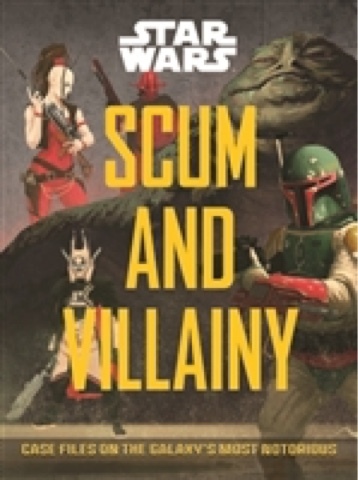 Star Wars: Scum & Villainy: Case Files On The Galaxy's Most Notorious is published by Epic Ink, an imprint of Quarto Publishing Group and is available now at booksellers on and offline for the suggested retail price of $40.00 dollars in the U.S. and $50.00 dollars in Canada. The 1080p Full HD presentation of Scrooged looks fantastic with nice deep blacks and solid colors that pop. The English DTS-HD MA Soundtrack does not fair as well because it feels kind of restrained. 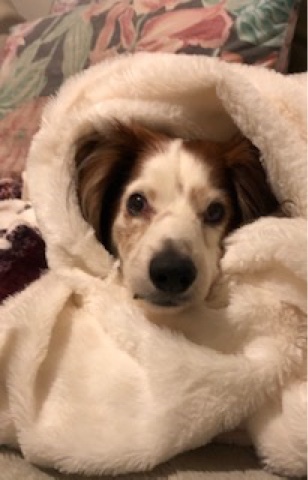 The standard definition version on the included DVD features a clear 16 By 9 enhanced picture quality with an English Dolby Digital 5.1 Surround Soundtrack. Both versions feature French Dolby 2.0 Soundtracks, as well as English Subtitles for the Deaf and Hearing Impaired. The Blu-ray Disc also features a Spanish Language Mono Soundtrack and English, French, Spanish Language Subtitles while an English Dolby Surround Soundtrack is on the DVD too. The theatrical trailer is the only extra content on the Blu-ray Disc and within the blue BD case there is a limited time only redeemable code on the insert for a digital copy of the film. 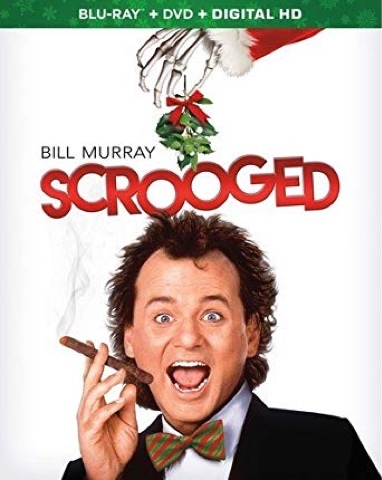 Scrooged is available now on Blu-ray Disc at retailers on and offline courtesy of Paramount Home Entertainment. Happy Holidays. Mission Impossible: Fallout is not only one of the best installments in the Tom Cruise lead franchise, but it is also one of the best Spy-Fi films, as I call the genre and coined the term, in years. Simple plot with lots of twists and turns as well as action and Tom Cruise does much of the stunt work too. In fact I have no idea how the insurers who provide the bond that enables big budget extravaganzas like this, even agree to this regardless of Tom Cruise’s status and power as a movie star and producer. I mean unless he one day chooses to gracefully step away to give the franchise lead to another young actor, you can’t have a Mission Impossible picture without him. To paraphrase what radio legend Howard Stern described many years ago regarding what Cruise has accomplished as like starring in his own “James Bond” franchise. Since Bond is and should always be played by a British actor, Cruise can never hope to be James Bond, but now as Ethan Hunt in his Mission Impossible franchise he is one film short of equaling the amount of times both Sean Connery and Roger Moore played the legendary British Secret Service Agent. Personally I think Cruise is having too much fun being Ethan Hunt to move on anytime soon. I would not be surprised if he surpasses the amount of times his English counterparts played Ian Fleming’s eponymous MI-6 Agent. Mission Impossible: Fallout not only brings back Tom Cruise, it also brings back Simon Pegg and Ving Rhames as members of his Impossible Mission Force AKA IMF team as well as Alec Baldwin, Rebecca Ferguson, and Michelle Monaghan from the previous films along with Sean Harris as the villain once again. The film also features Wes Bentley, Angela Bassett and Henry Cavill in a role he refused to shave his mustache for when he had to return for reshoots on Justice League, which lead to the strange CGI removal of that facial growth and subsequently gave an almost Clutch Cargo effect on those scenes. Cavill deserves better and he really shines in this adventure with and without Tom Cruise on screen with him. The plot has anarchists attempting to wipe out one third of the world’s population with stolen plutonium for nuclear bombs to start a New World Order. Mission Impossible: Fallout also reunites Cruise with Writer and Director Christopher McQuarrie as well as Producer J.J. Abrams. The Ultra High Definition resolution of the 4K Blu-ray Disc with High Dynamic Range looks phenomenal. The Disc is also encoded for Dolby Vision capable television and 4K Blu-ray Disc Players. A full HD 1080p version is also included on Blu-ray Disc. Both versions feature enveloping English Dolby ATMOS Soundtracks along with French, Spanish and Portuguese Language Dolby Digital 5.1 Surround Soundtracks and English Subtitles for the Deaf and Hearing Impaired and French, Spanish, and Portuguese Language Subtitles. English Descriptive Audio is also provided on both discs for the Visually Impaired. 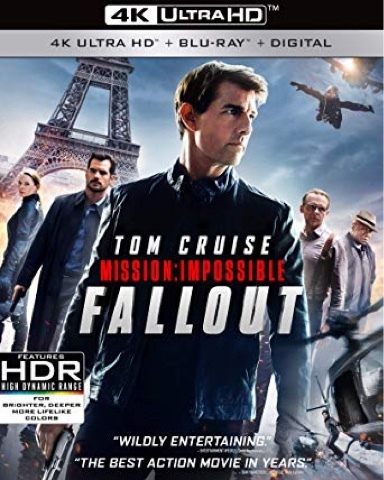 The 4K and Full HD discs also feature audio commentary tracks with Director Christopher McQuarrie and Tom Cruise, McQuarrie and Editor Eddie Hamilton, Composer Lorne Balfe and an Isolated Score Track. Cruise and McQuarrie really work well together and share a great synergy as well. I know in the past Cruise has had different filmmakers direct each film to give each one a distinct visual thumbprint, but I hope McQuarrie and Cruise work together again because after two collaborations in this blockbuster franchise, why break up a good thing? The third disc within the set is a 1080p full HD Blu-ray Disc that contains the bulk of the other extra value features that include six Behind The Fallout examinations, a deleted scenes montage with optional commentary by McQuarrie and Hamilton, another sequence breakdown, and more, including storyboards and the theatrical trailer too. A collectible booklet highlighting Tom Cruise’s stunt work for the film and an insert containing a code for a limited time only redeemable digital copy of this film are housed within the black 4K BD case. This should make an excellent holiday gift for action and Spy-Fi fans alike, Mission Impossible: Fallout: 4K Ultra HD + Blu-ray + Digital: 3-Disc Set is available now at retailers on and offline courtesy of Paramount Home Entertainment. Taking The Red Pill Once Again… An Overview Of The Matrix Trilogy On 4K UltraHD Blu-ray Disc. Every year it seems that there is at least one genre feature film franchise that gets special treatment with enough features to keep one busy in front of their monitors for hours. 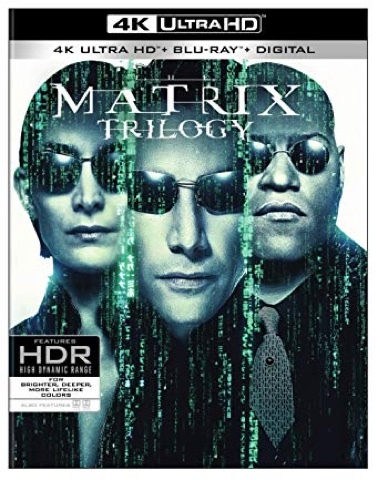 This year Warner Home Video released The Matrix Trilogy 4K UltraHD Blu-ray Disc Set in both a glossy cardboard slip and available separately in Black BD cases. I prefer the artwork for the three films in the trilogy set and so unless you are only buying the first film, you might want to splurge on the trilogy set as a whole to get the new transfers and extra features, which are now all on Blu-ray Discs as opposed the BD/DVD mix found in the Ultimate Matrix Collection released over a decade ago. Regardless of how one may feel about the second and third feature films in the series, the truth is that The Matrix Trilogy is one of the most popular American science fiction feature film franchises ever produced. The Matrix is truly an example of post-modern mythology and just as George Lucas’ original Star Wars: Episode IV: A New Hope changed the way space opera films and television shows were produced with what was then ground breaking technology that no one had ever seen executed in such a way before, The Matrix truly has changed the manner in which films and television programs of all genres are produced today. Originally released on DVD in 1999, The Matrix is one of the best selling DVD titles of all time and probably had an impact on DVD player sales thereafter. Times have changed a lot since 1999. We now have technology that appears to grow exponentially more sophisticated in almost every area of being. DVD-Video has changed so much that The Matrix DVD that was released back in 1999 seems antiquated in comparison to what has followed since. Producer Joel Silver had commented over the past year or so a wish to revisit The Matrix on Home Video again and release a version with better picture quality. With the trilogy complete and all of the films already available, The Wachowski’s along with Director of Photography Bill Pope supervised the new digital transfer of The Matrix. Day-in, day out, humanity has been lulled into an illusion created by all-powerful machines that comprise a large network of sentient artificial Intelligence, who use humanity literally as batteries in a nightmarish symbiotic relationship. However, a prophesy of one who will lead the fight to free humanity from the matrix has a select group of freedom fighters jacking into the matrix in search of their savior while trying to evade the clutches of the Agents, computer anti-virus programs that are practically unstoppable within this artificial world. Warner Brothers new 4K UltraHD Blu-ray Disc features a (2.40:1) widescreen transfer enhanced that is simply great coupled with an intense English Dolby ATMOS TrueHD Soundtrack. The difference in picture quality is in my opinion profound. The Matrix just looks so mind blowing that comparing this new transfer to the original is like comparing the original to a VHS tape. The green tone of the matrix is more pronounced, but less fuzzy. The world outside the matrix has a blue tint to it that distinguishes the two realms more clearly than ever before. The Soundtrack seemed a bit crisper, but the soundtrack difference did not jump out at me the way the picture quality on the disc caught my eyes. A French Language (Dubbed in Quebec) Dolby Digital 5.1 Surround Soundtrack and a Spanish Language 2.0 Soundtrack is also included along with English Subtitles for the hearing impaired and French and Spanish Language Subtitles encoded as options. To provide a greater contrast, which they hoped would encourage further conversation about The Matrix Trilogy as a whole; The Wachowski’s have elected to have Philosophers Dr. Cornel West and Ken Wilber provide feature length commentary for all three films while on an alternate track, Critics Todd McCarthy of Variety, John Powers of Vogue, and David Thomson, Author of The New Biographical Dictionary of Film provide a different point of view that is purposely not always favorable with regard to the trilogy as a whole. West and Wilber seemed very much beside themselves while discussing the film in part from the context of being only a part of a greater whole. At times they can’t help but reveal spoilers of things to come and at other times they both don’t say a word as if they’ve become captivated by the action itself. In contrast the Critics never stop talking and are not quite as enthusiastic about the film as the Philosophers are, but they are generally positive in their comments about the film, recognizing that this film resonates more with younger people than it does older people. Overall, I found both commentary tracks to be extremely interesting and entertaining. Originally released in the autumn of 2001, The Matrix Revisited is presented again here in a (1.33:1) aspect ratio. This behind-the-scenes look at “The Matrix” in many ways seems more like an extended EPK and some of the comments regarding the second and third films in the trilogy just don’t seem to carry as much weight as they might have because by now anyone who is a fan of the series has seen all three films on big screen and multiple home video formats already so it just doesn’t hold up as well as just watching the movie itself. I found the extra value materials included to be more entertaining than the 122-minute documentary. The Music Revisited contains nearly three hours of music chosen by the Wachowski’s in creating the film. The six Behind The Matrix featurettes (17:15) as well as the two Take The Red Pill featurettes (17:99) and six Follow The White Rabbit featurettes (22:50) are included here as well. Six months have past since Neo (Keanu Reeves) learned that he was “The One” destined to liberate humanity from their enslavement by the machines that keep them in a virtual dream world while using their bodies like batteries in a bizarre symbiotic relationship called The Matrix. Neo has been suffering from nightmarish visions where he sees his lover Trinity (Carrie-Anne Moss) die. He is also uncomfortable with the messianic following that has grown around him as more and more devotees leave gifts for him and ask for his blessings as if he was the second coming and for them he might as well be. The machines are burrowing deep into the Earth on a mission to destroy Zion, the last refuge for humanity on Earth. In less than twenty-four hours they will breakthrough with enough force to exterminate every last living being there. Morpheus (Laurence Fishburne) sees this as a sign that the century long war against the machines will soon be over and the prophecy will be fulfilled. So they leave Zion in an attempt to gather intelligence from The Oracle within the Matrix. With the fate of humanity resting upon his shoulders, Neo is troubled about his destiny. He wonders if his visions of Trinity’s death are what will be or what could be? A question not easily answered by the Oracle as Neo discovers his old nemesis Agent Smith (Hugo Weaving) has somehow discovered away to replicate himself and is bent on getting back what he believes Neo has stolen from him, his purpose. Soon Neo, Trinity, and Morpheus are following the Oracle’s instructions and searching for a man known only as “The Key Maker” (Randall Duk Kim) in a race that pits them against new enemies as the future for all is held in he balance of Neo’s choice. What are great about The Matrix Trilogy films are the multiple layers in which one can view it. You can see them as simply sci-fi action pictures or you can see them as more. One thing I have noticed since watching the film again on is that like the first film, there are little subtle things that are easy to miss the first time around, but add greater dimension to both the fantasy world of the films and what one brings out of them. For instance in Neo’s meeting with The Oracle, she tells him that strange occurrences that people will sometimes refer to as werewolves or UFOs is a program doing something it is not supposed to do. Later when Monica Bellucci’s character introduces Neo, Trinity, and Morpheus to two body guards she describes as “being kept around because their hard to kill,” she then takes out a hand gun and says “But how many people carry silver bullets” and then shoots one in the head, killing him while ordering the other one out. Does that mean that these earlier versions of the Agents were what we might call werewolves? I don’t know for certain, but it certainly is an interesting prospect. A lot of people who saw the film got lost in all of the philosophy and while I personally enjoyed that aspect of the film, I can understand why some people got lost. Though I do not consider myself to be Gnostic, I have to admit that there is something to be said about that school of metaphysical thought. I noticed while watching The Matrix Reloaded is that even one of the hovercrafts is named the Gnosis. This takes me to the conversation between Neo and Architect of the Matrix and its relationship to Zion. Basically Zion and The Matrix are a part of the same game. It does not matter if Neo is on VR or reality because the Architect has already stated that the cycle has occurred before. The Matrix has been around a lot longer than Neo realizes. To account for the anomalies that occur as a result of the imperfect world the human minds need to believe they are not in the Matrix, the Oracle creates the myth and a few humans are allowed to think to escape the Matrix and a war over their minds and souls begin. At a certain point the Architect has Zion destroyed and reboots the Matrix and the process starts over again. So in a sense, they are all trapped like a hamster on a wheel. Trapped in creation. Very Gnostic is it not? All three worlds, the Matrix, the Machine located in their city and the humans in Zion need to reconcile in order for the wheel of fire to be quenched and stop turning. Zion is a component of the Matrix because it is all a form of control. Humans depend on machines that depend upon humans. Sort of like the Vorlons and The Shadows in Babylon 5. In that series’ first three seasons we are lead to believe that an alien race called the Vorlons are the good guys, however their actions become increasingly questionable until a guru like figure named “Lorien” helps the series’ hero realize that essentially "Understanding is indeed a triple edged sword." Another alien race in direct opposition to the Vorlons, referred to as "The Shadows," are basically playing a deadly game of intergalactic chess with The Vorlons, to see who will shepherd the younger alien life forms for the next thousand years. Will it be through order or chaos? In that series the hero makes a great sacrifice to free everyone from that cycle of imposed war, peace, and control. In the third film Neo does make a great sacrifice to free humanity in Zion the sentient programs in the Matrix, the machines in Zero One, and finally reveal the whole “truth" to all. Neo may be the one who is, but was not the one at the time of when he first visited the Oracle in the first film. Similarly in Babylon 5 we learn our protagonist named “Sheridan” is the one who will be, his female counterpart is the one who is, and the man who was the commander of the station in the first season of the series is the one who was. I bring this comparison up because in the film before Neo leaves Zion to meet the Oracle, a character known as “The Kid” gives him a spoon from one of the orphans whose mind was liberated from the Matrix. This orphan must have been the one Neo encountered while he was waiting to meet the Oracle for the first time. In the film the boy appears to be making the spoon bend through the force of will of his mind. He then hands the spoon to Neo who tries to do the same, but he also tells Neo something to the extent that it is not about knowing how to bend the spoon that is important, but knowing that the spoon isn't really there at all. The Matrix Reloaded is presented in a widescreen (2.35:1) aspect ratio with English Dolby ATMOS TrueHD 5.1 Surround Sound as well as a French and Spanish Language Dolby Digital 5.1 Surround Soundtrack and English Subtitles for the hearing impaired as well as French and Spanish Language Subtitles preset onto the first disc as options. The picture and sound presentation for The Matrix Reloaded is terrific. There is only a slight amount of grain that is easy to look over while watching the amazing action set pieces and eye catching production design. The colors are solid throughout. We have the green tint when the characters interact within The Matrix, but it is not only a lot more solid in appearance, but it is less obstructive too. The other colors, however muted they might appear at times, still come through vibrantly. The English Soundtrack is terrific too with excellent separating of the sound effects, clear dialogue and an overall ambient quality that combined with the picture truly engages the viewer to delve into the world of the Matrix from the comfort of their home theater systems. There are two feature length audio commentary tracks. As with The Matrix, Philosophers Dr. Cornel West and Ken Wilber provide an intriguing commentary track that looks at the film from the point of view of being the second act of a much larger theatrical production. They get heavily into the metaphysical implications of the story as well as the commercial expectations from audiences who waited four years between the original theatrical release of The Matrix and it’s first sequel, The Matrix Reloaded. Interestingly the second commentary track on disc one, which features Critics Todd McCarthy of Variety, John Powers of Vogue, and David Thomson, Author of The New Biographical Dictionary of Film, revealed the obvious different critical point of view that in many ways contrasts the first commentary track statements. However I think the critical point of view is correct and yet I also agree with the philosophical point of view too. How can this be? Anything you encounter in life to some extent is textured by what you project onto it. The Matrix Reloaded is no different. Critics and Philosophers should not have a hundred percent agreement in my opinion. They are looking at it from their point of view and as a result these commentaries more so than the tracks on The Matrix reveal The Wachowski’s brilliance in experimenting with this kind of extra value material instead of the traditional filmmakers’ commentary. I find truth to both tracks and listening to them broadened my understanding of the film too. I don’t agree with everything, but I also think that in a way there is no definitive answer because in the end these films are truly about what we as viewers invest into them as well as what the films give us in return. The Matrix Reloaded Revisited is a collection of featurettes exclusive to this set that can be viewed individually or as one reel per topic. The first part are the 23 scenes shot for the “Enter The Matrix” video game (42:30) complete with a brief introduction by Producer Joel Silver. These scenes are presented in a letterboxed (2.35:1) aspect ratio with English Stereo Sound. Some of these scenes could have been inserted into the film and may have benefited it greatly because they do enhance the side characters greatly and help to clarify certain elements in the trilogy as a whole. Other scenes simply repeat the action from the feature film or are occurring simultaneously in such a way that there is no way to truly cut them into the film without having to reset the entire structure of the movie. While I appreciate the fact that these 23 scenes originally shot for the game can be viewed without having to play the game, I wish they were presented with true anamorphic enhancement and 5.1 Surround Sound instead of being letterboxed with Stereo Sound. I’ll Handle Them (17:09) is a collection of four featurettes focusing on the production design within the Merovingian’s great hall and the fighting choreography. All of the featurettes are presented in a full screen (1.33:1) aspect ratio with English Stereo Sound. The featurettes for each section can be viewed individually or collectively with the “Play All” feature. The other sets focus on The Teahouse Fight (7:04), the brawl between Neo and Smith after his meeting with the Oracle in The Matrix Reloaded (40:24) and the Car Chase (55:15). Each features detailed storyboard to completed scene comparisons, previsualization tests, and lots of behind-the-scene footage from the production. The final two featurettes that make up all 21 parts of The Matrix Reloaded Revisited focuses on The Exiles with the Actors discussing their characters of the Merovingian, Persephone, The Key Maker, and even the Architect. When we last saw Neo (Keanu Reeves), he had successfully saved Trinity (Carrie-Anne Moss) by literally reaching into her heart and restarting it while they were still within the matrix. Shortly after getting out, their hovercraft is destroyed and the surviving crew are all but dead meat at the tentacles of the squid like machine sentinels, but Neo amazes everyone when through his own force of will, he is able to set off an EMP burst that incapacitates the sentinels before he slips into a coma. Now aboard another hovercraft sent from Zion, Morpheus (Lawrence Fishburne) and Trinity learn that the preemptive strike sent from Zion was sabotaged and the only survivor from the failed mission is the prime suspect. However he too is in a coma and harboring a deadly surprise. The original Matrix feature film was such a bombshell hit that it spawned endless discussions, essays, and even became one of the best selling films on DVD to ever be released since the format was first introduced in 1997. However while the promise and even the seductive lure for a sequel to The Matrix was quite understandable, the truth is that the film stands just fine on it’s own. The two sequels were shot collectively and released theatrically six months apart. While many complained that The Matrix Reloaded was at times incomprehensible and a bit slow, others appreciated the fact that the film was ambitious enough to raise even more questions, which would somehow all be answered in the third and final film The Matrix Revolutions. Unfortunately many of the questions The Matrix Reloaded posed were never answered and some of the new characters introduced in both films seem only to have been glorified cameos with no real dramatic payoff. It seems as if somewhere between the second and third films drastic changes were made resulting in a film that focused too much on the effects action at the expense of satisfactorily resolving some of the character arcs in the trilogy. Having seen all three films now both theatrically and on home video I think that as a whole, The Matrix Trilogy feels incomplete. I could go into what my interpretations of the events of the film were and they were definitely quite archetypal complete with biblical sacrifices and more, but in some ways I’m still a bit disillusioned by the conclusion presented in the third film to a point where I almost wish they left things alone after making the first film. I am a huge sci-fi fan too so for me to state that in a review still means a lot. Regardless of what I expected and what I got, I have no doubt The Matrix Trilogy has earned it’s place as one of the most creative sci-fi storylines ever put on film, but as far as cohesiveness, it leaves a lot undone. My gripes about the storylines aside, the two audio commentary tracks included on the first disc, which feature Philosophers Dr. Cornel West and Ken Wilber and Critics Todd McCarthy of Variety, John Powers of Vogue, and David Thomson, Author of The New Biographical Dictionary of Film. West and Wilbur make a very compelling case from the advantage of looking at the entire trilogy as a whole by stating that Neo’s journey to redeem both humanity and the machines and bring peace comes from uniting the world of the flesh, which the characterize as Zion, the world of the mind where the ideas are often argued out loud as in the matrix itself, and the world of the spirit as seen by the lights Neo perceives in the machine city of Zero One. Neo’s sacrifice blazes not only peace, but also freedom and hope for all sentient life forms both artificial and organic to begin a brave new world. Of course the Critics make their points from a film structure standpoint that has a lot of validity though at times some of their comments are wrong because if they watched the films closely the answers are there and you don’t have to know anything about philosophy to see them. However I have to stick up for the Critics when West and Wilbur jest about how the Critics are somehow responsible for dumb entertainment. If anything I’d say we are all responsible, but one person’s garbage is another person’s art and Critics should look at a film differently from a Philosopher because quite honestly their jobs are so different that expecting anyone to react the same way to something, especially when their professions are vastly dissimilar is like comparing apples and oranges. The amount of thought, appreciation, and inner conversation these tracks set in motion for all three films makes them in my opinion among the best if not the best of the extra value features. The transfer is impeccable with an anamorphic widescreen (2.35:1) aspect ratio presentation that preserves the manner in which the film was exhibited theatrically as close as possible for home video users. The English Dolby ATMOS TrueHD Surround Soundtrack is not as aggressive as I had hoped it would be, but it is very clear with a nice ambient quality and well mixed too. A French and Spanish Language Dolby Digital 5.1 Surround Soundtrack and English Subtitles for the hearing impaired as well as French and Spanish Language Subtitles are encoded onto the first disc as options. The Matrix Revolutions Revisited is presented in a full screen (1.33:1) aspect ratio with English Stereo Sound and French Language Subtitles encoded as an option. Six documentary short groupings regarding the films details a total of 28 featurettes that can be viewed individually or collectively according to the topics covered, which include a look at the Crew (24:59) and their role in bringing the film to fruition, a look at the action sequences in club HEL (27:34), which even includes an interesting look at the made up extras that participated in the memorable sequence. The Super Burly Brawl featurettes (16:52) includes an anatomy of the Superpunch Neo delivers to Smith in their climactic confrontation within the matrix. The Siege featurettes (40:06) also includes an anatomy of Mifune’s Last Stand in the defense of Zion. Personally I enjoyed the New Blue World featurettes the most (26:06) because it gives the viewer a better understanding and clearer view of what Zion is supposed to be. In the film, some of the scenes just seem too monochromatic and as a result much of the rich detail of Zion can easily be missed. At least here we actually get a look at the geographic set up of Zion, which is supposed to be the home of 250,000 humans. A look at the various hovercraft and machinery is also included along with a detailed explanation of the production design for the various sets. A set of postproduction featurettes under the heading Aftermath (39:46) concludes the materials within The Matrix Revolutions Revisited. An insert containing a limited time only redeemable code for a digital copy of all three films in the trilogy is included within the set too. The Matrix Trilogy: 4K Ultra HD Blu-ray Disc Set is now available at retailers on and offline courtesy of Warner Brothers Home Entertainment.